Carte Hall provides a broad range of financial guidance and management services to meet all of your personal accounting needs. From investment advice for estate and retirement planning, as well as meeting other special savings goals, to protecting your existing assets, personal bookkeeping, tax preparation, and much more, our knowledgeable staff are here to assist you. We provide individuals with prompt service and are dedicated to providing professional, personalized financial planning services with a strong focus on ensuring your satisfaction. 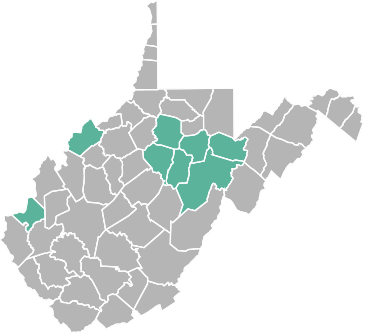 We look forward to helping each of our clients in Elkins, WV, and nearby areas to reach their maximum financial potential. Should I Hire a Personal Accountant? If you are attempting to handle your personal finances on your own, you may think you are saving money –and you may be (for now). Unfortunately, this may be a very costly mistake. If you find yourself wondering if you should hire a personal accountant, contact us. We can help you decide whether our services will be cost-effective for you. It is extremely common for a bank or credit card statement error, missed payment(s), unexpected financial matter, or tax error to lead to a cascading effect that can leave you financially devastated. While many individuals with smaller incomes who have the time and dedication to manage income and expenses are able to do so successfully, most of us simply do not have the time or want to spend our spare time crunching numbers. With proper income and expense accounting, we can save you time, money, and help you thrive. When your personal time is worth more than the expense of hiring a professional, the smart choice is to call the financial experts at Carte Hall. Let us know what you want us to do. We handle everything from paying daily bills, account reconciliation and management, balancing accounts, examining statements, to meeting with you monthly or quarterly to review your finances. Proper accounting greatly simplifies tax planning and preparation, as well. Our team will also work with you to develop a plan to safeguard your assets against a wide range of unexpected threats. Thorough, effective personal accounting and responsible estate planning begins with addressing your requirements upfront. Take the first step. Contact the certified public accountants at Carte Hall to schedule your appointment at: (304) 637-2369.